Each tote bag is individually cut and stitched by hand at our building in Londonderry, NH! Made in America manufacturers like Enviro-Tote continue to produce some of the finest products made today. Our Made in America tote bags are of a distinctive level of quality unmatched by any imported tote bag. 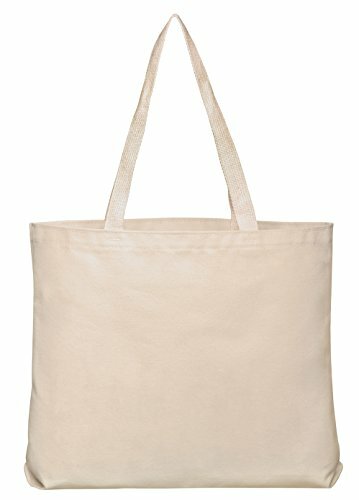 Quality tote bags like Enviro-Tote bags will last over 10 years! About the materials: This tote is made from a 10oz 100% Natural Cotton that's woven specially for Enviro-Tote. The tighter weave is excellent for most any print application. As a bonus, almost all the materials are Made in the USA! INTERESTED IN CUSTOM PRINTING, OTHER STYLES, OR CUSTOM DIMENSIONS? Visit our website at enviro-tote.com! If you have any questions about this product by Enviro-Tote, contact us by completing and submitting the form below. If you are looking for a specif part number, please include it with your message.